On Monday, following the annual Van Lanschot Christmas concert at the cathedral, Bishop Gerard de Korte presented his Christmas message. The bishop of ‘s-Hertogenbosch reflects on the state of our society and political world, saying that there is much to be grateful for, but also acknowledging feelings of insecurity which exist and which deserve a better answer than the ones provided by populist movements. In God’s coming down to humanity at Christmas, the bishop says, we find an example of what a just and loving society can look like. “Several weeks ago our queen opened the Jheronimus Academy of Data Science. With this, the city of ‘s-Hertogenbosch advances in the academic march of civilisation. The data institute researches the possibilities of ‘big data’, but also the moral implications of the enormous increase of information. During the presentations preceding the opening of the institute, the guests were presented with interesting examples of practical applications. In recent decades the digital revolution has led to an enormous increase of avalaible data. One thing and another means, in theory, that decisions by doctors, bankers, companies and managers can be made with much greater precision. Reflecting on these matter I encounter a paradox. In the media we continuously hear about fact-free discussion among our politicians. While more information becomes available, many a politician prefers not to speak on the basis of facts, but primarily on the basis of feelings and emotions. It is not about what is true, but about what feels true. I recall that, during the American elections, most of the statements by the current president-elect about economical topics were revealed by economists to be partly or completely untrue. Once again, it became clear that data must always be interpreted, and that interests also always play a part. One of our daily newspapers recently published an interesting conversation with Swedish researcher Johan Norberg about his latest book, Progress. In that book, Norberg shows, with a multitude of data, how life has improved from one generation to the next. It goes well with the world when it comes to fighting poverty, life expectation and education. Worldwide fewer people fall in the category of ‘extremely poor’, research by the World Bank shows. In 1970, 29 percent of the world’s population was malnourished. Today that is 11 percent. People born in 1960 died on average at the age of 52. Today the average person reaches his 70th birthday. In our country life expectation rose from 73 to 81 in half a century. The Netherlands has one of the best healthcare systems, as we read recently, and when it comes to education our dear fatherland is high on many lists. Seen from history, we can say that the Netherlands is a good country to live in. We have a high level of prosperity. We do not need to fear the sudden appearance of a police van in front of our house, taking us away without reason. We have an impressive constitution with many freedoms, a free press and an independent judiciary. In short, there are much data for which we can be grateful. Despite all these material and immaterial achievements, the experience of the state of our country is a different one for many Dutchmen. Sociologists refers to our country as ‘extremely rich and deathly afraid’. There is a strong feeling of unease among a significant part of the population. More than a few people have feelings of fear and insecurity. In part that is a result of western news services. Good news is boring news. But in general one could say that good whispers and evil shouts. In that regard I like to quote Pope Francis: one falling tree makes more noise that an entire forest growing. Our media enlarges problems and everything that is going well remains in the background. Watching the news, one could get the impression that our world is one great mess, but that is not true of course. There is much more going well than wrong in the world. But I do not want to claim that these current feelings of unease in our society are fact-free. There is an accumulation of problems which rightly worry many people. Accelerated globalisation of the last decades has made many uneasy. There are increasingly clear winners and losers of that globalisations. People hear about the excesses of worldwide capitalism, such as high bonusses and tax evasion. But at the same they fear for their own jobs or those of their children and grandchildren. The security of existence of an increasing number of countrymen is under pressure. Our political landscape is rapidly splintering. Many people are worried about that. While there are great challenges this splintering threatens to limit the effectiveness of the government after next March’s elections. Many of us are also worried about the pollution of the environment and climate change. In his impressive social encyclical Laudato Si’, Pope Francis urges us to protect Mother Earth. Especially now we are facing the challenge to truly realise our stewardship. A vague sense of insecurity also invokes much unease, especially because of attacks by Muslim terrorists. With their pointless violence against our citizens they try to destabilise our society and so play into the hands of unsavory forces in our own society. Fear and the unease of the people is fed, not in the last place, by a spiritual crisis. Because of the last decades’ secularisation and dechristianisation many of our contemporaries lack a solid foundation. In a time of rapid transition they no longer have the ability of falling back on a solid faith in God. All the concerns and problems lead to a coarsening of relationships in our society and sadly also to the rise of a poisonous populism. Poisonous because it divides people, undermines the trust in our fragile rule of law and especially because it shouts loudly, coarsely and without any nuance, without offering concrete solutions. What response to this development is desirable? As bishop I want to mention a few things, based on the Catholic thought about the good and just society. Let responsible administrators take the questions of populists seriously, for they are the questions of many citizens of our country. But these questions deserve a better answer than is being provided in populist circles. The threat to security of existence that is being felt requires a response. Our wealthy Netherlands must be able to safeguard the existence of every citizen, also materially. Let us, as citizens of this good country, no longer push one another away, but keep looking for connections. No thinking in us and them, but inclusive thinking. Catholic thoughts aims to unite and is directed at sense of community and solidarity. Of course there are differences in vision and conflicts of interest. Many debates get stuck in rough language and shouting matches. Instead of providing arguments, personal attacks. The result is that the dignity of the neighbour is trampled underfoot. Let us then conduct social discourse on point, but also with respect and courtesy. Our diocese’s recent policy note is titled Building together in trust. But that is not just a mission for our own diocese, but also for our society. An important aspect of this is that we acknowledge our responsibility for the whole. If we only serve our own (partial) interests, we will get a hard society in which the law of the jungle will be victorious. A just society, on the other hand, has an eye of the vulnerable and for the many people wo are threatened to be left behind. In a few days we will be celebrating Christmas. For Christians, Christmas is the celebration of the birth of Christ. Even before the celebration of St. Nicholas, many shop windows in our city were decorated for Christmas. Santa Claus, green and lights everywhere. Retail knows well how to use Christmas to make the December revenu a success. Priests and preachers have traditionally questioned this development. Christmas is more than gold and glitter, more than good food and presents. I will not be repeating this Church protest against commerce’s grip on Christmas tonight. Not only because I do not like waving my finger like an angry school teacher, but also because that protests is not very effective. It makes little sense for a sour-faced bishop to speak about the degeneration of the Christmas thought. People, including believers, have a need for comfort and security, especially in the dark and cold month of December. A good meal and a thoughtful present can only serve to improve mutual solidarity. But perhaps you will allow me to invite you not to stop at the exterior, but also search out the interior of Christmas. At Christmas we celebrate the coming of the Emmanuel: God with us. In Christ, God bows down to the world. At Christmas, God says to you and me: man, I love you. In Christ, God’s love of humanity has become unequivocally visible. In Jesus, God wants to share all with us, including our fear of dying and death. Christmas is the feast of God’s solidarity and loyalty. With Him, we are safe. In this period, we dispel the darkness of winter with lights and candles. Our God dispels our darkness with the light that is Christ. I sincerely wish that you will allow that divine Light into your lives. It will allow the tempering of much unease and anger. Secure in God’s love, we are called to hold onto each other in this confusing time and life in solidarity with each other; to build together in trust and take our responsibility for the building up of our faith communities and society. Out of that conviction I wish you a blessed feast of Christmas. He led a diocese for less than four hours, but Bishop Manfred Melzer probably won’t lose any sleep over it. It is simply standard procedure in Cologne: as the archbishop retires, leadership of the archdiocese falls automatically to the most senior auxiliary bishop. Until, that is, the cathedral chapter has picked a diocesan administrator, and they didn’t take very long to do that. 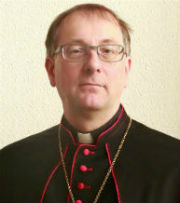 Vicar General Msgr. Stefan Heβe (pronounced “Hesse”) (pictured at right) runs the ongoing affairs of the archdiocese until Pope Francis confirms the election of a successor to Cardinal Joachim Meisner, who retired today after 25 years, two months and a few days at the head of one of Germany’s oldest sees. In 1988, Cardinal Meisner came to Cologne from Berlin, 14 months after the death of Cardinal Joseph Höffner. Today he becomes the first archbishop of Cologne in almost 129 years to retire, and he does so at the almost unprecedented age of 80. Cologne now joins three other German dioceses – Erfurt, Passau and Freiburg in Breisgau – which are also still awaiting a new bishop, in the case of the former two since October of 2012. Cardinal Meisner leaves Cologne in the hands of diocesan administrator Msgr. 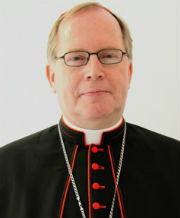 Heβe, and Auxiliary Bishops Melzer, Dominik Schwaderlapp and Ansgar Puff. The diocesan administrator now had the duty to collect an expansive report on the state of the archdiocese and send that to the Papal Nuncio, Archbishop Nikola Eterovic. In the meantime, the see of Cologne is Sede vacante nihil innovetur, in other words, while there is no new bishop, no changes may be made. In other respects, Msgr. Heβe has the same rights and duties as a diocesan bishop. The Archdiocese of Cologne, or Köln as it is properly called, is the second oldest in Germany (only Trier is older), dating back to the year 200, and once dominated the western part of modern Germany as well as major parts of the Low Countries. The Dioceses of Roermond (Netherlands), Magdeburg, Aachen and Essen (Germany) and parts of Liège (Belgium) were at one time or another all part of Cologne. The archbishops of Cologne were powerful men, in that rather German way that they were both spiritual and worldly leaders, being electors of the Holy Roman Empire. Today, while not the primatial see of Germany, Cologne remains important, being the largest diocese in number of faithful (some 2 million) and covering a significant part of the Industrial Ruhr area and including the major cities of Cologne, Bonn (former capital city of West Germany) and Düsseldorf. 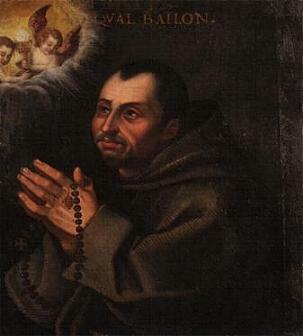 Cologne has produced 10 cardinals and 7 ordinaries who were declared saints. Joachim Meisner was born on Christmas Day 1933, in what is now Wroclaw in Poland, but at the time the city of Breslau in Germany, which was rapidly falling into the clutches of the Nazis. Having lived through the war as a child and young teenager, Joachim Meisner ultimately became a priest of the Diocese of Fulda in 1962, days before his 29th birthday. In 1975, he was appointed as Auxiliary Bishop of the Apostolic Administration of Erfurt-Meiningen, which has been established only two years before (tensions between communist East Germany and the Holy See meant that the former had almost no full-fledged dioceses). 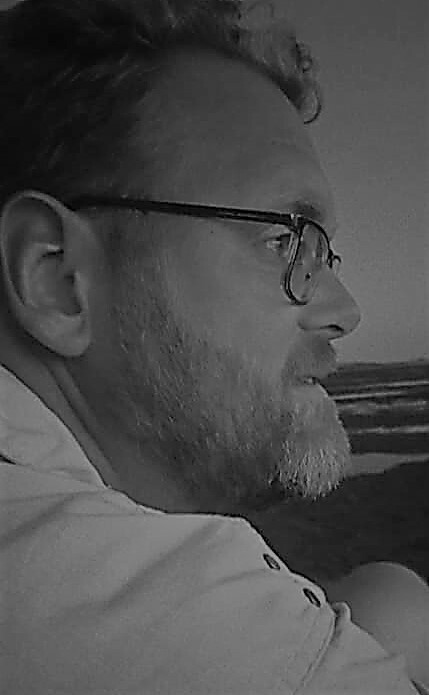 Bishop Meisner was also given the titular see of Vina. In 1980, he became the bishop of Berlin, which, because of the aforementioned tensions, was not yet an archdiocese. Bishop Meisner stayed there for eight years, being created a cardinal in 1983, before being called to Cologne in 1980 (a poster welcoming his arrival is pictured at left). I was allowed to serve you as Archbishop of Cologne for a quarter of a century. I have always wanted to testify to the peace of God and bring this across to you, since it is the strength of our hope. I thank you once again from my heart for all the strength which I found in that and beg you all very much for your forgiveness when my service were not a source of strength, but perhaps a source of irritation. The Lord will complete everything which was only fragmentary in my service. I will remain – God willing – among you until the hour of my death and will now have more time to pray for you all, and bring all your concerns and hopes to the heart of God. And now? The Archdiocese of Cologne has already started the process of selecting a new archbishop by appointing a diocesan administrator. Possible candidates will now be chosen by several entities, all according to the Concordat that the Holy See signed in 1929 with Prussia, the state of which Cologne was then a part. Among these entities are Archbishop Eterovic (pictured) as the Papal Nuncio; the bishops of the other dioceses which were part of Prussia: Aachen, Berlin, Erfurt, Essen, Fulda, Görlitz, Hamburg, Hildesheim, Limburg, Magdeburg, Münster, Osnabrück, Paderborn and Trier; and the cathedral chapter of Cologne. The Nuncio will then collect all proposed candidates and will create a list of three candidates which he considers the best choices. This so-called terna will be added to the other proposals and sent to Rome, where the Congregation for Bishops will draft its own terna based on the information provided. The list will then go to the Pope, who will either confirm it, or make some changes of his own. Then, the list goes back to the cathedral chapter of Cologne. The cathedral chapter will elect the new archbishop from final terna. Voting continues until one candidate has an absolute majority of votes (at least 8 out of 15). After three voting rounds, only the two candidates who got the most votes continue. If all candidates have five votes after the second round, only the two oldest candidates continue on. For the fourth round of voting a simple majority is sufficient. Do both candidates still have the same amount of votes, the oldest candidate is elected. After a new archbishop is elected, the governments of the States of Nordrhein-Westfalen and Rheinland-Pfalz can voice political concerns against the elected. The Nuncio must seek and obtain the permission of the elected for this. Once the governments agree, the Pope officially appoints the new archbishop. June was a slightly better month than May, although the news and the topics I wrote about diminished a bit in the second half of the month. 3,652 page views were registered, bringing the total since the beginning of January to 22,582. As I thought, it did indeed cross the 20,000 somewhere around mid-June. The high ranking of my post about the St. Boniface Day is mainly due to a link from my favourite Dutch blogger (for a giving value of ‘favourite’), who saw fit to use it as one more tool to attack my bishop, albeit not very convincingly (seriously, I’m suddenly an authority on how many people attend an event?). Anyway, spike in stats – always nice. Speaking of bishops, they and other curia members were the trend in the search terms. Msgr. Gänswein (yes, still), Bishop Mixa and the Venerable Cardinal Newman were all popular. And lastly, can I say how very happy I am to see my translation of Msgr. Marini’s address on the liturgy still lingering in the top 10? Oh, I just did.